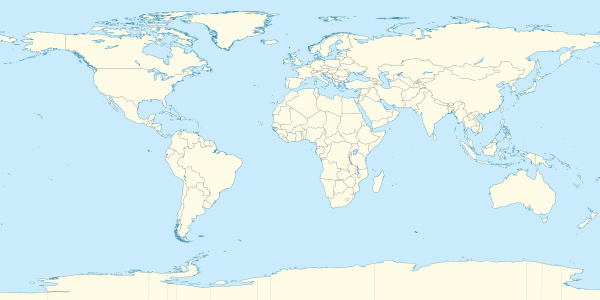 ^ "What is the highest point on Earth as measured from Earth's center?". Ocean Facts. NOAA. Retrieved 31 January 2017. ^ "Hawaii Volcanoes National Park". National Park Service. 2005. Retrieved 31 January 2017. ^ "Haleakala National Park Geology Fieldnotes". U.S. National Park Service. Retrieved 31 January 2017. ^ "Teide, Canary Islands". Visible Earth. NASA. 2009-08-11. Retrieved 31 January 2017. ^ "En las entrañas del volcán". elespanol.com. 2016-03-21. Retrieved April 9, 2018. ^ 20Minutos (2017-11-14). "Gema Hassen-Bey abandona el ascenso el Teide a 3.000 metros". 20minutos.es. Retrieved April 9, 2018. ^ Cowley, L. "Mountain shadow". Atmospheric Optics. atoptics.co.uk. Retrieved 19 October 2018. 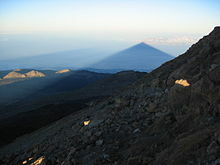 ^ Cowley, L. "Mountain shadow formation". Atmospheric Optics. atoptics.co.uk. Retrieved 19 October 2018.